Prior to the war we all lived peacefully together. At school, my class was roughly half Muslim and half Serb and other religions, not that most of us paid attention to religious difference. When we had a break, boys would grab a ball and play football—two teams against each other, not divided by religion. We shared everything—the same school, the same entrance, unlike some parts of Bosnia today. Then came 1992. When the local government in Prijedor was overthrown by the Serbian ‘Democratic’ Party led by Karadžić, everything went downhill. Local propaganda on public TV and radio was working nonstop to ensure the Serb population would fear Muslims, or least be confused. All sorts of stories were going around. My favourite was when Prijedor Radio said all Muslims had received a list of Serbs to kill. I joked that our list got lost in the post. Post was rather unreliable in those days. One of the instructions given to all “non-Serbs” was to put a white flag outside our houses and to wear white armbands, which is why we wear white armbands each year on 31 May as a reminder, like Jews wearing yellow stars in WWII. Eventually, they started collecting the local population, mainly men. Sometime in June 1992, it was the turn of my part of the town, Donja Puharska. Armed soldiers with armoured vehicles were going through the streets shouting “All men go to the main road!” They kept saying: “Don’t worry—if you haven’t done anything you will be sent home after questioning.” No one mentioned concentration camps. My father and brother went. I started walking behind them—at 16, I was taller than most men. My mother shouted ‘You are not going anywhere, you are just a child! Go inside’. Luckily, I obeyed her and wasn’t picked up later. If I hadn’t I would have been taken to the camps and I’m not sure I would have survived all the suffering there. As the men were waiting on the main road some soldiers started beating my father and brother. My father used to be part of the local Joint Territorial Army, so he was next to be beaten, but a soldier from Serbia asked them to stop, as the men had done nothing wrong. My father always says that he would like to find that Serbian soldier and thank him. In that moment, he behaved like a soldier and saved my dad. At first we didn’t know what had happened to my father and brother, but eventually we found out they were being held locally at Keraterm. Some guards would let food be brought in to the camp for family members, and my sister went whenever she could, taking food to my father and brother. Sometimes she would be threatened. One of our family friends who was a Serb didn’t want to join the Bosnian Serb Army. He was told not to come to work, threatened and called a traitor by his own friends, just because he didn’t feel like imprisoning innocent people. He stood up for what was right. If only more did. When we heard that my father had been taken to Omarska, it was the worst day of my life. I went into the bathroom and cried. I thought he would be killed there for sure, as we had heard people only went to Omarska “on request”, which usually meant torture and death. He was extremely lucky to survive. Later, he was taken to Manjača and eventually to Croatia. In December 1992 he came to the UK with the Red Cross. In December 1993 I finally saw my dad again for the first time since that terrible June of 1992. When my older sister and I arrived at the hostel in Balham where my father was staying, none of us could speak for some time. We were both happy and sad, we were with dad again, and alive, but mum was still in Prijedor with my younger sister. We weren’t finally reunited as a family until June 1994. We all live here now. All of us ‘kids’ have got jobs and have had jobs for years. It wasn’t easy. It was difficult for me to get back into education. I was told I was too old to continue normal education, and it was a problem that I didn’t speak English. If it wasn’t for my dad meeting a Bosnian family from Zenica, who helped me get into college, who knows what would have happened. College was hard at first. I started in a part time group to pick up some English before starting my full time education. I remember sometimes when I would try and speak, some of the students would laugh. But that was one group. When I started my BTEC National Diploma in Engineering in September 1994, things were totally different. There were no issues—we would all play football together and help each other with studies. It probably helped with making friends that maths was my favourite subject and others mostly hated it and needed help! 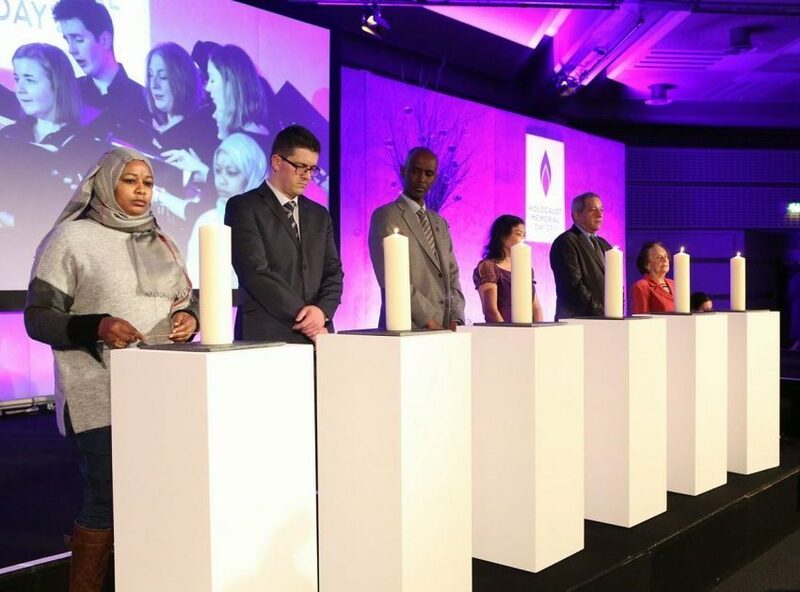 I first started properly talking about my experience through the Holocaust Memorial Day Trust in 2010, and I’m now also working with Remembering Srebrenica. It wasn’t easy to speak out in the beginning as emotions were always taking over. If it wasn’t for these two organisations, would I be talking about it at all? Probably not. For me it is important to talk about what has happened in Bosnia because of what happened, how it happened and the fact that much of it is still happening. 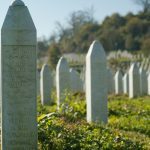 In Bosnia war criminals are celebrated as heroes by certain Bosnian politicians. I would like to think people praising Hitler would not be treated so kindly. Bosnia is still divided, and many are working to ensure division stays in place. Not long ago we had children protesting in Bosnia because adults want to build them a school with separate entrances, by religion. Then we act surprised when we hear acts of hate. It’s our fault. We are not talking enough about hate. Many think if you ignore it, it will go away. It won’t. Hate is a virus. If you don’t treat it, it will spread. The past is there to show us—let’s learn from it. I often ask myself—am I a survivor? It’s difficult to answer, as I always compare myself to those who have lost family. I was lucky and am lucky. However, I guess I am a survivor. I want my daughters to be proud of what their father did, however small, to help educate people of the consequences of hate, ignorance and inaction. No one should go through what I did. It hurts me seeing those things repeat again and again. When will the world say no more and mean it? Hopefully one day soon.